Our answers about your next tour in Aveyron, Occitanie, France. ► HOW IS EXPERIENCE (MY) FRANCE DIFFERENT FROM ANY OTHER TOUR ORGANIZATION? Since the French Revolution, France has been divided in départements. A département is pretty much the size of a county. Although some are tiny as other ones quite large. Nowadays, France counts 101 of them. Each one can be identified with a number and Aveyron is #12. So, what about explaining you what Experience (my) France is in 12 points? Is made just for YOU, YOUR friends and/or family with no strangers to be added. That's what we call a small group and we welcome solo travellers. This is a true VIP experience! Daily trips are designed to your wants, desires as well as your needs and restrictions so, truly bespoke and private. Our tours are fully inclusive. You don't have to spend anything over 10 days if you wish to. Your tour guide, host and driver, Véronique, is your Chief Experience Organizer (CEO). We travel less than 150 km (93 miles) a day. Véronique is hosting you in her family but childhood house. Her mansion is yours for the duration of the tour. Véronique is an Aveyron local. She has an expert knowledge of the area. And she knows a lot of locals and her family members are in Aveyron. You will live as a local. Véronique will open doors you would not be able on your own. Véronique, bilingual and bi-cultural, has been living in the Canadian Rockies for over 20 years. She still does when not touring in Aveyron. Every night you come back home. Restaurants have been hand-picked and tested upfront. We can accommodate all sorts of tours and entertain all levels of fitness from the most to less active ones. The way we operate makes us unmatched anywhere in the world! We're exclusive, tiny and do not aim to change what made our success. That means there are only a few spots available each year. Can you compare us to another tour? Véronique has been so many times rewarded with comments coming from extensive tavellers such as: "This has been the best trip of my life!". or "Simply put, perfect from start to finish." In 2018, Experience (my) France has been awarded the prestigious Solo Travel Award in the category Specialty Tours. ► WHAT'S INCLUDED IN THE PRICE? Pick-up at Rodez airport or Rodez train station. If you were to be requesting a pick-up in Albi or Toulouse, then an extra would have to be paid. The accommodation at Véronique's art-déco house for the 10 days/9 nights in Baraqueville, 20 min away from Rodez. The house is truly YOUR home for 10 days as well as conveniently located at a crossroads to experience the most of the area you'll discover. Regional wines hand-picked by Véronique and/or other beverages during meals. Private tours where planned, and according to your needs, wants and desires where permits. Food (all breakfasts, all lunches, and all dinners over your 10-day experience) and wine tastings where/if planned. Entry fees to museums, castles, exhibitions, as well as all gratuities and other planned experiences. Special activities are charged extra. Services of your bilingual local guide/host and personal driver. Transportation during the tour in a comfortable air-conditioned car or van depending on the size of your own group, the one you formed with your family, friends and/or companion(s). A tour that will be designed at your own pace. Yes, we can spend more time wherever you'd like to. Your tour could be more or less active as well as we welcome all fitness abilities. Keep in mind, so far each single tour has been unique and entirely à-la-carte. That's what we consider private. We recommend the July and August as your experience with locals will be much higher. ► OTHER ACTIVITIES AND/OR EXPERIENCES? YOU BET, THERE ARE ACTUALLY LOTS! For the more active guests, we can plan (on special request) optional activities usually for an extra fee. We hand-picked these activities, experiences and/or workshops for you. All of them are delivered by either professionals and/or certified instructors. On the top, we were able to find three different workshops to be delivered by native English speakers! Pottery and ceramics over half a day (US $62 per person). Laguiole knife making as a one-on-one half day or one-day workshop (US $310 to 347 per person). River kayaking over a day and lunch along the lazy river (Rental of a kayak/canoe, US $32 per person per day). Leather workshop (Full day, 6 hours. US $125 per person. Not available in July and August). Mosaics workshop (Half day, 3 or 4 hours. US $65 or 100 per person, depending on duration). Book binding workshop (Half or full day, 3.5 or 7 hours. US $56 or 112 per person, depending on duration. Minimum 2 people). Stained glass window making workshop (Half day, 3 hours. US $56 per person.). Photography workshop (Full day, 7-8 hours. US $260 per person. Bring your own camera. Experience provided by a native English speaker). Cooking class (Full day, 6+ hours. US $150 for 1 person. Each extra is 40. One-on-one class with Michelin-starred Chef at his restaurant). Pastry class (Full or half day, price TBD, ask us!). Rail biking experience (Half day, 1.5 hour or 3 hours. US $15 per person or 32.). Zipline and aerial adventure experience (Half day, 3+ hours. US $56 per person.). Mini-cruise experience on the lazy Tarn river (Half day, 1.5 hours. US $20 per person. Wine included. Multiple options available). Via Ferrata walking over a full day (Around US $60 per person. Price depending on number, minimum 2 and maximum 4. Fully guided and gear rental included). Paragliding around the high plateaus near Millau (Introductory flight such as in double seat starting at US $100 for a 25 min flight which is weather and wind dependant). Biking daily loops (mountain bikes, road bikes and/or e-bikes. Rental of bike and helmet starting at US $40 pr person per day). Motorcycling (Caution: for experienced riders only, off-road riding training with award-winning professional. Full day starting at US $600 including rental of bike and gear.). Trails hiking over one day (Free, tag along with Véronique). Hot air balloon ride experience (Half day, 3+ hours. US $260 per person. When sun rises or 2 hours prior sunset. Includes either a healthy breakfast or a Champagne celebration and hot air balloon diploma). Bungee jumping experience (US $115 per person per jump. Free fall of 107 m so, 351 ft. Add a walk of over 20 min to reach jump area above the Tarn gorges). Canyoning experience (Full day, 6+ hours. From US $47 per person to 68. price is difficulty-based). Climbing experience (Half day. US $38 per person. Introduction.). Caving experience (Half day, 2 hours. US $40 per person. Introduction to). Birdwatching over half a day to full day. (You do not need to be an expert to practice and enjoy here. From US $30 to US $170 depending on number of people and half or full-day duration. Experience provided by a native English speaker). Visiting a goat cheese making farm (Free). Visiting an alpaca farm. So from the farm to yarn, you'll discover their wide range of luxury alpaca products as well as their projects kits for all skill levels. Whether you are a knitter or a crocheter there will be a kit to keep you busily crafting for hours. (Free and an experience provided by a native English speaker). Visiting an organic cattle farm (Free). Visiting local vineyards and interacting with the winemakers (Free, tag along with Véronique). Tasting the local wines at the local wineries (Free). Workshop around the famous "gâteau à la broche" at a local producing farm. (Free). Coal mining heritage touring focus over one or multiple days (Free). French light cooking (from quiches to ratatouille to crème caramel, a workshop at Baraqueville home over half a day) (Free). You might want to check with us quite ahead when registering as conditions might apply. These optional activities do require specific planning, availability check and are contracted-out to specialized professionals. Please keep in mind some of these activities will be charged an extra fee. We'll plan for you these activities with the professionals including the best possible prices. As we are NOT commission-based, payment will be made by you directly to the supplier(s) where and when necessary. Any further legal binding/contract regarding these specific activities will be between you and the contracted supplier. ► WHAT'S NOT INCLUDED IN THE PRICE? Airfare or any travel expense to and from the pick-up location, Rodez. If you were to be requesting a pick-up in Albi or Toulouse, then an extra would have to be paid. Lodging and/or guiding BEFORE or AFTER your tour. Special wines and/or beverages other than those included during meals. Personal items purchased during your experience in Aveyron. Activities such as canoeing, bird watching, biking, pottery and ceramics, and any contracted out activity to professionals and artisans and/or artists are NOT included so charged as extras. Shipping of your purchases and/or associated cost(s). ► HOW LARGE ARE THE GROUPS? WHAT DO YOU MEAN BY PRIVATE? Groups are as large as you wish. Once you've claimed and reserved your dates, it is NOT bookable anymore. We DON'T add other people to your group to make it up to 8. As our tours are fully customized to your desires, wants, needs, experiences' availability, day of the week, month of the year, weather, and so on. They are designed with you in mind as well as the party you choose to share your experience with. It could be friends, family and/or companions. You decide. That means we don't charge extra for single accommodation either. Please note, the maximum group size on an Experience (my) France guided and hosted tour is 8 guests for each 10-day tour. Enrollment is capped at 8 to ensure you receive the best personal bespoke experience. Good to know, there's no minimum required; the tour will run even with one person registered hence claiming the tour to be her/his own. You could consider these private tours VIP experiences. Your experiential tour will never look like the next one. ► I AM A SOLO TRAVELLER. WOULD YOU DO A TOUR JUST FOR ME? Absolutely! Our minimum is 1. The only thing you'd have to do is reserve your dates with us. Your tour will be private, fully customized to your desires, wants, needs and at your own pace. If later on, you'd like to add friends and/or family to your French experience it would be entirely up to you. You are the only one (not us) deciding whether you'd like to share your experience with a friend and/or a family member. Remember, we do not charge any extra for solo travellers. We welcome solo travellers! ► WHAT'S THE BOOKING AND REGISTRATION PROCESS LIKE? WHAT SORT OF PAYMENT METHODS DO YOU ACCEPT? At the time of registration we do require a deposit of US $1000 per person. The rest has to be processed by us no later than 60 days prior departure. If it's less than 60 days prior your tour, we will invoice you for the total and your booking will be confirmed upon us being credited the full amount. To register, please contact us first so we can prepare a US $1000 registration PayPal invoice for you. As well, if you are looking at registering for multiple guests, contact us first. Alternatively, you can pay online the full amount of US $4000 (one 10-day experience for one person) using any of these credit cards: Visa, MasterCard, or American Express. Our website is set in a non-disruptive way where you'll stay on our website up to the final payment. All your personal and credit card information are securely stored on our PCI compliant website. We use PayPal to perform the payment processing either via our website or when sending you an invoice. If more convenient for you, we can look at other means such as direct bank transfers (from a US bank) or cheques (from a US account). If you do have any questions do not hesitate to contact us and ask. We'd be happy to answer. ► WHAT ARE YOUR TOURS' DATES? We designed our tours over a 10 day length to provide you the best experience. Tours run from May to October such as 1-10 and 16-25 each month with 5 days of wiggle room around. These in-between days allow us, on special request, to accommodate other tour periods such as longer, even shorter durations. We do think the ideal length would be 15 days to get the best experience. Our tours are always private and as such fully customized to your interests, needs, wishes and the months of the year. Don't hesitate to inquire about these potential customizations. ► I WOULD VERY LIKE TO TOUR WITH YOU BUT DATES DO NOT MATCH MY AVAILABILITY. WHAT CAN I DO? Although we have a defined and varied selection of tour offerings, we do understand the diverse requirements you might have. As flexibility is our forte, we'll try our best to find ways to accommodate you. Just contact us and ask. ► WHAT IF I HAVE TO CHANGE OR CANCEL MY NEXT EXPERIENCE IN AVEYRON? If you must cancel your experience more than 90 days prior to the planned tour, there is an administrative cancellation fee of US $ 200. Between 61 – 90 days prior to the planned tour there is a cancellation fee of 25% of the total of the original experience price. Between 31 – 60 days prior to the planned tour there is a cancellation fee of 50% of the total of the original experience price. There is no refund applied for cancelling a tour experience with Experience (my) France less than 30 days prior to the planned tour. However get in touch with us as we might be able to get you on another tour the same year. If not the same year, it has to be within the two following years of originally planned. ► DO I NEED TRAVEL INSURANCE? Experience (my) France is highly recommending all guests to have travel insurance in the event of a medical emergency, lost baggage, or in need of cancelling their trip. 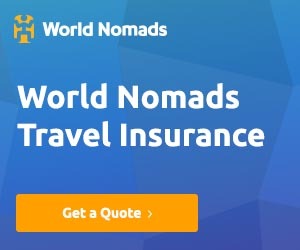 We like World Nomads because they are backed by reputable insurers and 24/7 assistance providers. You can click below to get a quote. Make sure to read the policy details to ensure that it's right for you. ► WILL SOMEONE MEET ME AT THE RODEZ AIRPORT OR TRAIN STATION? ARE TRANSFERS INCLUDED? You bet yes! Our guests might arrive from different countries on different flights, or through different means, it doesn't matter. As well, some might be touring before and/or after being in Aveyron, Véronique will meet and greet you at one these two preferred meeting points; either Rodez Airport or Rodez Train Station. ► WHAT'S THE BEST WAY TO ARRIVE IN RODEZ? The best two means of transportation to get to Rodez, are either by train or by plane. We definitely would not recommend renting a car though. By train: It takes approximately 8 hours by train from Paris Austerlitz. There are multiple daily trains, including overnight ones. If you've never been to Paris, keep in mind there are 7 train stations departing from Paris, each one designed to service a specific area of France. An excellent option is to fly in Paris, spend two to three days in the city, then take a train to Rodez. Véronique will pick you up at Rodez train station. By plane: If you are keen on flying, Rodez is a very small airport. It sees an average of a few hundreds visitors a day. So, when in France, there's a daily (less than one-hour) flight from Paris Orly to Rodez. Anyhow, your international flight will always land at Roissy-Charles de Gaulle airport, one of the multiple airports of Paris. You'll need to transfer over to Paris Orly to get to Rodez by plane. If French is not your forte, you might want to check Les Cars Air France to get service assured by English-speaking staff. If you're looking at flying in and spend a few days in Paris before your Aveyron tour, you might want to check this shuttle service called SuperShuttle. From a lot of popular pickup places in the city, including hotels and landmarks, you'll be able to go to Paris Orly Airport. Another option would be to still use Les Cars Air France too. There is one daily low-cost flight from Dublin (Ryanair) to Rodez. There is a direct flight from Brussels (CRL) on Mondays and Fridays with Ryanair to Rodez. Fly in to Toulouse Blagnac Airport. This is an international airport. From this airport and via a shuttle service called Tisseo, transfer over to Toulouse Matabiau Train Station. Get on a train Toulouse-Baraqueville. It is actually the train that does Toulouse-Rodez. Ask for a ticket for Baraqueville-Carcenac-Peyralès. It is a nice and scenic experience of less than a couple hours. Please note, staying in Toulouse a couple days allows to get rid of the jet-lag and visiting Toulouse is a must. It is a great city to discover and experience. According to our past experience it appeared to be the best option for our guests. Depending on your return plans and if it includes Paris, we do recommend to take a train Rodez to Paris and either spend a couple days in Paris or go on and take your flight back home. ► WHAT KIND OF TRAVEL DOCUMENTATION DO I NEED? For all international and continental travel, both Canadians and Americans, requires a valid passport (only). There's no need of a visa. Citizens of the United Kingdom and other EU nationals require a valid Identity Card or passport. Other nationalities may need to obtain a visa. ► IF I BOOK A A GUIDED TOUR WITH YOU, CAN I BE GUARANTEED THAT IT WILL RUN? Absolutely yes, once you've registered, you claimed your tour. Although there's no minimum participants, there won't be no more than 8 people you wish to share your experience with at a time either. That's your private, intimate, authentic guided, hosted, our trademark! Remember, our tours are YOUR tours and not somebody else's one. We do NOT add anybody to YOUR tour to make up to 8 guests. You don't need either to have all your friends/family registered upfront. Once you claimed your tour it's yours and you, but only you, can add more guests to it as they decide to come and share the same experience than yours. ► CAN I COME WITH MY KIDS? Experience (my) France has been designed for adults only who love epicurean experiences and venues, heritage and culture, and who enjoy the stimulation of being with other like-minded adults. ► HOW MUCH FREE TIME WILL I HAVE? Your Experience (my) France hosted and guided tour is designed with travel and activities each day to allow you to become fully immersed in the local culture, discover all the terroirs the region has to offer. We also understand that the nature of our proposed experience requires some personal down time. To that end, each day some time could be set aside as your own, and if you prefer to skip a meal to seek some solitude, or even skip a few hours, just let Véronique know along. Once again, this is your tour, you decide what fits you best. ► WHAT KIND OF SHAPE DO I NEED TO BE IN? Each day combines travel, tours and yes, eating and drinking! Although you can partake as much or as little as you like of the food venues, in order to ensure your enjoyment of your trip to its fullest, it is important to assess your personal level of fitness and your eating regime when choosing a trip. That being said, you don’t need to be a professional gourmand or athlete to enjoy an Experience (my) France hosted and guided tour. Each trip offers a variety of daily activities, with sampling the local cuisine and regional products as our aim, so any dietary concerns should be discussed with us during your decision making phase especially as each region has its own customs and etiquette centered around food. For guests who are regularly engaged in cardiovascular activity, we recommend you let us know in advance, so we can do our best to accommodate these needs. Keep in mind as we're designing tours just for you, we do welcome any level of fitness. As well, we've been able to accommodate dietary restrictions such as gluten-free, or vegetarian and/or disabled guests. Do not hesitate to check with us. Véronique will discuss how we can accommodate your own restrictions. ► HOW WILL I BE TRANSPORTED DURING MY EXPERIENCE? Your Experience (my) France guided and hosted tour includes full transportation via an air-conditioned van-type fitting 8 passengers as well as your host/guide/driver (same person, Véronique) or a smaller comfortable air-conditioned vehicle if the group is smaller than 4 guests. ► WHAT ABOUT PHONE AND THE INTERNET ACCESS? When at my home at Baraqueville, you're welcome to use my landline to make free phone calls to Canada (landlines and cells), U.S.A. ((landlines and cells), Australia (landlines), New Zealand (landlines), and lots of countries in Europe or not. Just ask me. If you're looking at getting your own cell phone, you might want to use the service of National Geographic Cellular Abroad to rent your cell phone. There might be cheaper solutions, including checking with your home-based cellular phone provider, however we think it is the most straight forward solution as you'll be receiving your rental phone to use in France via UPS or FedEx. Note: We are not affiliated or partners in any ways with Cellular Abroad. At arrival, I'll provide you the access code to the house's Internet private network. So, you'll have free and full Internet access from any place in the house, being a bedroom, the kitchen, the living room, the terrace and so on. ► WHAT'S THE WEATHER LIKE IN AVEYRON? Please note: the following are recorded averages during the past 20 years. May- Days with highs around 19°C or 66°F and nights around 9°C or 48°F. June- Days with highs around 23°C or 73°F and nights around 12°C or 54°F. July- Days with highs around 26°C or 79°F and nights around 14°C or 58°F. August- Days with highs around 26°C or 79°F and nights around 14°C or 58°F. September- Days with highs around 21°C or 69°F and nights around 11°C or 51°F. October- Days with highs around 15°C or 59°F and nights around 8°C or 46°F. The Heat Index is a measure of how hot it feels when relative humidity is added to actual air temperature. From this a comfort level is calculated providing categories on how heat conditions might adversely affect someone. May to October comfort levels: Given average maximum temperatures and humidity levels generally you should not anticipate any discomfort from heat. ► I CAN'T FIND AN ANSWER TO MY QUESTION. HOW CAN I GET IN TOUCH WITH YOU? Don't hesitate to email us. As well, you can phone directly Véronique: 1-403-493-5142 (Cell.) or leave a message on her landline too: 1-403-609-2774 in Alberta, Canada (Mountain Time, MT). Caveat: only from November to April as she is in France touring May to October inclusive. Aveyron is a département of the new region called Occitanie. Occitanie was formed with the two previous regions called Midi-Pyrénées and Languedoc-Roussillon. You'll be hosted at my Baraqueville home for the duration of your tour. Baraqueville is a village, only 20 km from Rodez, the capital city of Aveyron.